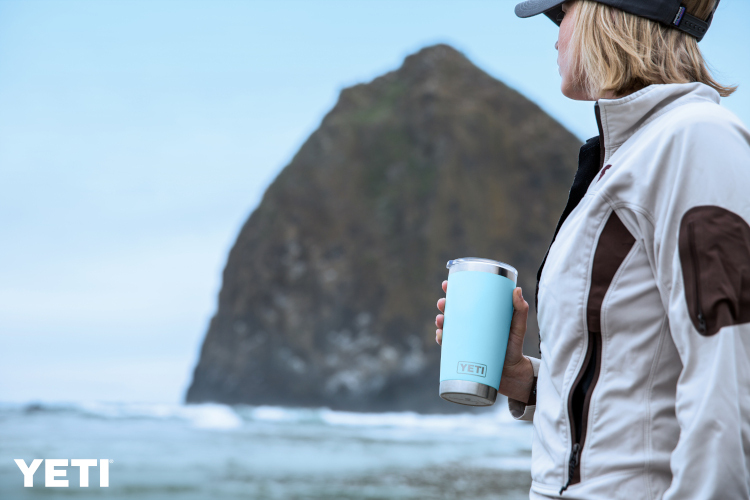 The Rambler Tumblers are part of the Rambler series of personal drink coolers, made from 18/8 kitchen-grade stainless steel with double-wall vacuum insulation. If you'd like your cold drinks to stay cold twice as long as plastic tumblers, this is the one for you. Available in two sizes (20 ounce and 30 ounce) with a BPA-free clear lid, these tumblers are designed for maximum ice retention, with no sweating on the outside. And guess what? The tumblers work just as well for hot beverages, keeping that morning java at perfect temp for another couple of hours. The Rambler Straw Lid is not included.